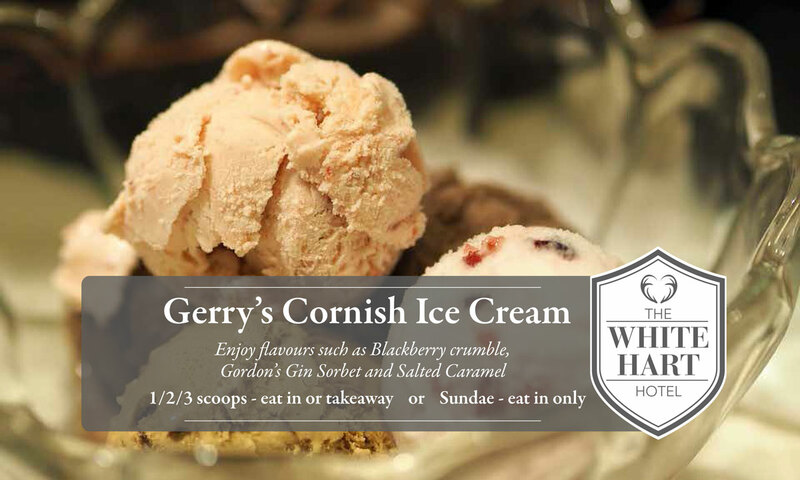 We are now offering delicious Cornish Ice cream from Gerry’s. Enjoy flavours such as Blackberry Crumble, Gordon’s Gin Sorbet and Salted Caramel. Available any time of day – choose between 1,2 or 3 scoops to eat in or take away. Or, why not go all out and dine in for the ultimate Ice cream Sundae.